It’s the height of 1967. Our photographer is still on a whirlwind tour of Europe. As we piece together a multitude of pictures, we find that he was well traveled. Perhaps he was in the military stationed over seas? Who knows now, but we are lucky enough to have what he documented for us. Among these locations is this beautiful Field of Tulips. The slide is dated 1967 and shows red tulips in the foreground, and hello in the background. The hint of a fence and building are seen but nothing else really provides much information about the location of this field. We’re not even sure of the exact varieties of tulips growing here. Denmark? 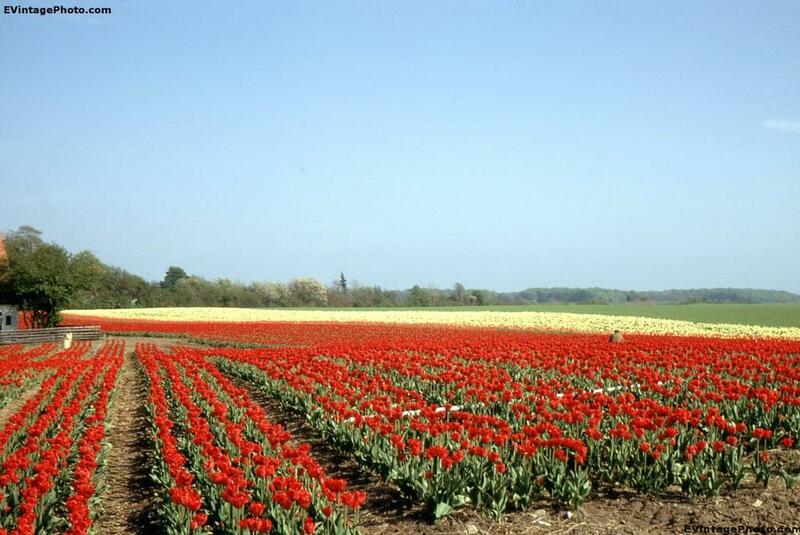 Where Tulips entered into the Western Hemisphere consciousness? France? England? Thus, an unknown Field of Tulips.